Fiction is a great source of escapism. And honestly, many of us have been in the mood for escapism lately. Politics have been more stressful than ever, turning on the news feels like an onslaught of depressing events, and grimdark fiction is still pretty popular. Cynicism in media just isn’t cutting it the way it has in years past. Movies like The Dark Knight, with its message that great people can turn to evil with a little push, just don’t feel the same anymore. Since so many things in the world are sketchy, I don’t want fiction telling me that it’s only going to get worse. Luckily, optimism seems to be making a comeback. Although it comes in many forms—horror, fantasy, comedy, etc—a simple through-line no matter the genre is hope and optimism. I think that this is the commonality that brings us to escapist media. In horror, the chance of survival brings hope; in a fantasy, there’s the awe of the mystical and unknown, showing that unfamiliar things can be positive; comedy shows us that any situation can bring joy. This hopefulness is what creates the escapism, and I believe that there are some very good examples in our contemporary fiction in properties like Steven Universe and Overwatch. In the absence of regular Steven Universe episodes, I decided to venture into the wide, wide world of its fanworks to fill the gem-shaped emptiness inside me. However, while I do love and support the canonical pairings in the show, I’m not super married to actively shipping anyone, and so I decided to see what I could find in the more gen fic space instead. 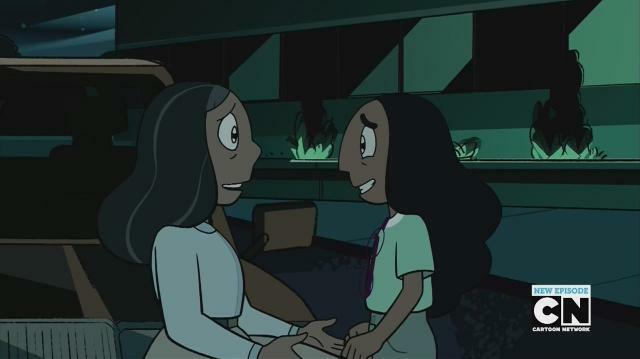 I was delighted to stumble upon this particular fic, which examines the sometimes contentious but ultimately loving relationship between Connie and her mother. Happy Black History Month, dear readers! This month has always meant a lot to me on a personal level. Being a Black person, I’ve witnessed erasure of our achievements, dismissal of our problems, and omissions of us from opportunities. These types of slights often expand into nerd media, where representation is already scant. In that spirit, I want to discuss an issue that makes the existing representation troubling. We need to stop giving non-human characters Black traits to code them as “other”, as alien from the protagonist and audience. These characters, rather than just being another character in a group, are specifically different or strange. I’ll be candid with you, reader: it’s been a tough few weeks for me. Like many others, between winter blues, the political climate, and the often negative nature of nerd critique, I’ve been in a bit of a slump. In times like this, I like to look at some of my favorite media that resonates with me on an emotional level. I appreciate sincerity and vulnerability in media. In my opinion, that has been a common through-line in a lot of viral fandoms in the past few years. There is definitely room for being a badass, and admittedly, that’s an enjoyable trait to watch play out in a story. However, I think many of us are craving a sense of vulnerability in our characters, not just physically, but also emotionally. We want to be be able to empathize and connect with the characters by knowing how they feel, what their aspirations are, and what they’re thinking. Of course in superhero media, the protagonists are relatively invincible, but are they people under all that? In the past couple years, I’ve seen some really great uses of emotional vulnerability, and I think they illustrate the benefit of creating these character traits. The sequence that probably sold tons of fans on the franchise. Minor spoilers for Steven Universe and major spoilers for Undertale after the jump! In honor of Bisexual Awareness Week and Bi Visibility Day, today I would like to talk about my favorite canon bi characters. 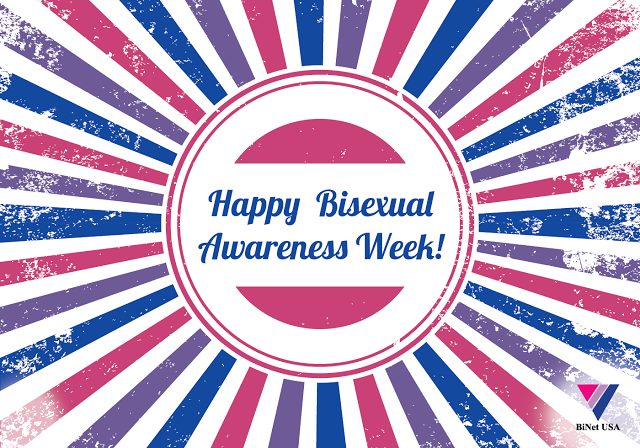 Unfortunately, bi characters are so difficult to find, and even when you do, most of them fall under the same harmful stereotypes, not to mention that the word bisexual isn’t even used in the vast majority of cases, making it harder for people find and identify or identify with the characters. So, with that in mind, I also want to share some of my dreams for better bi representation. Our Pearl is (relatively) happy, but what about the others? 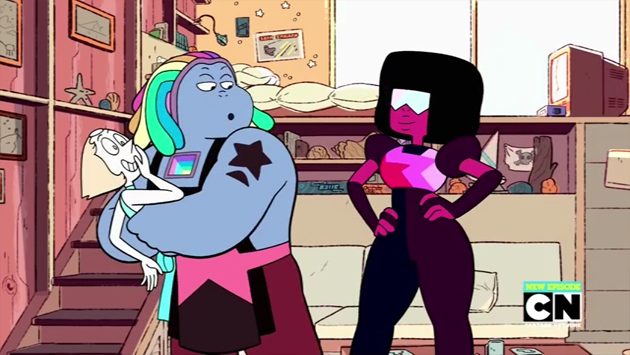 So… Steven Universe, am I right? This “Summer of Steven” has been a wild ride, opening audiences’ eyes further to the injustices going on on Homeworld, the internal struggles of the Crystal Gems, the increasing grey morality of everything, and how Earth and its inhabitants keep moving on through all of this. While the Crystal Gems are focused on the immediate problems on Earth—allowing Jasper to run around is probably not great for gemkind or mankind alike—today’s fic takes a look at the current situation from another point of view: the view of Homeworld’s Pearls.